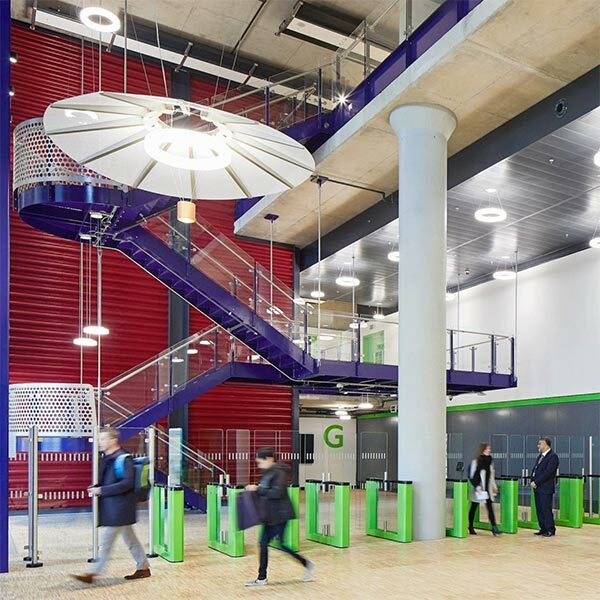 Transport for London has moved into a new accommodation hub at The International Quarter London in Stratford. 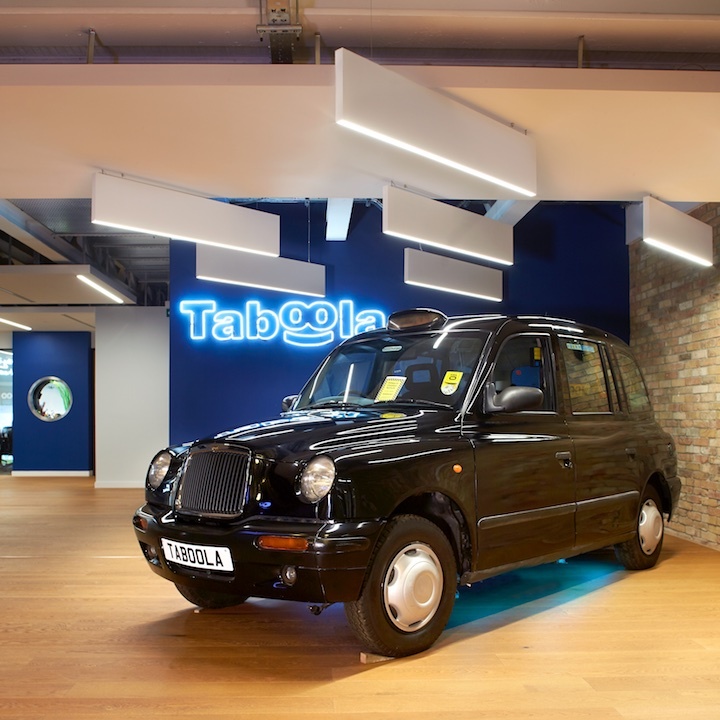 Since 2007 Taboola have been building the world’s largest and most advanced ‘discovery platform’ — or “search engine in reverse” — delivering personalized recommendations to over one billion users every month, on many of the web’s most innovative and highly-visited websites. 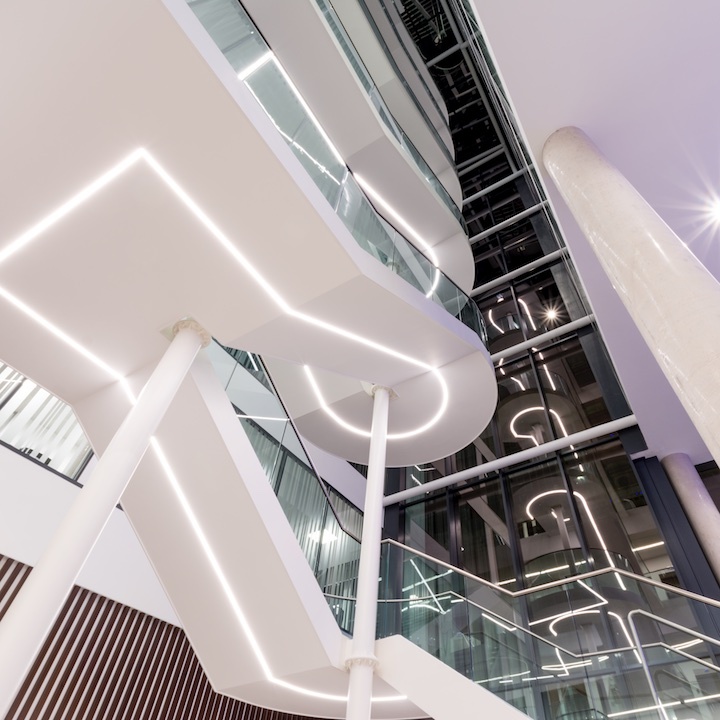 RIDI Group supplied the lighting to this exciting new office development in Bristol, including a variety of Spectral products. 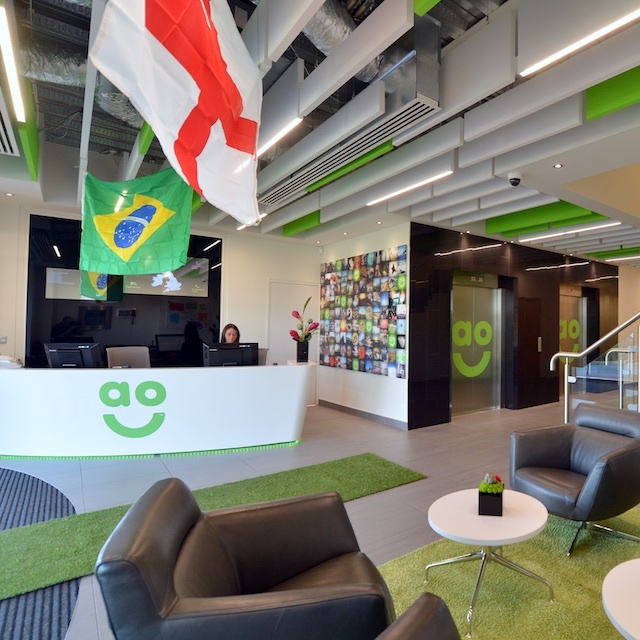 has relocated its headquarters from Goodison Park into new state-of-the- art facilities at the Royal Liver Building. 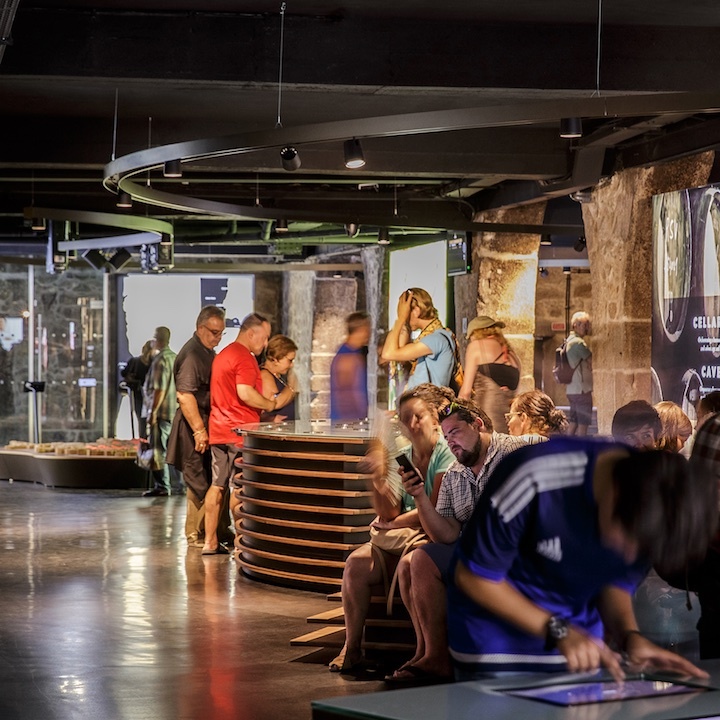 Cálem are a historic fine wines brand known for their famous Port. 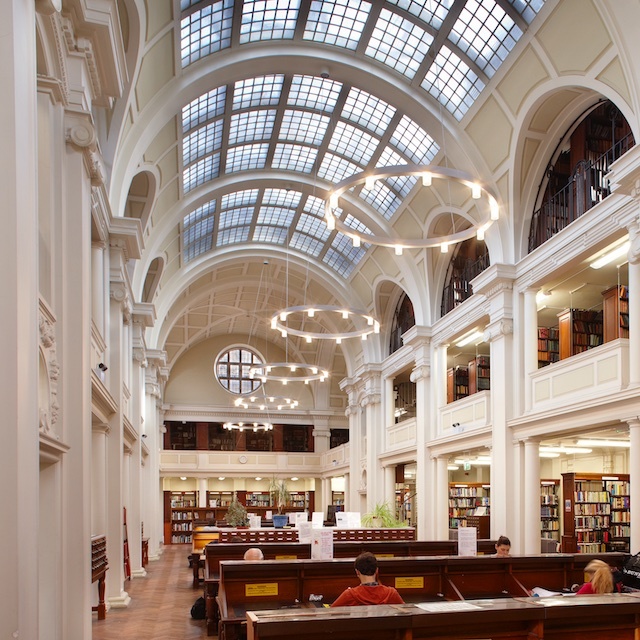 Located in the city of Porto on the south bank of the Duoro River, they are widely recognized through successive international awards. 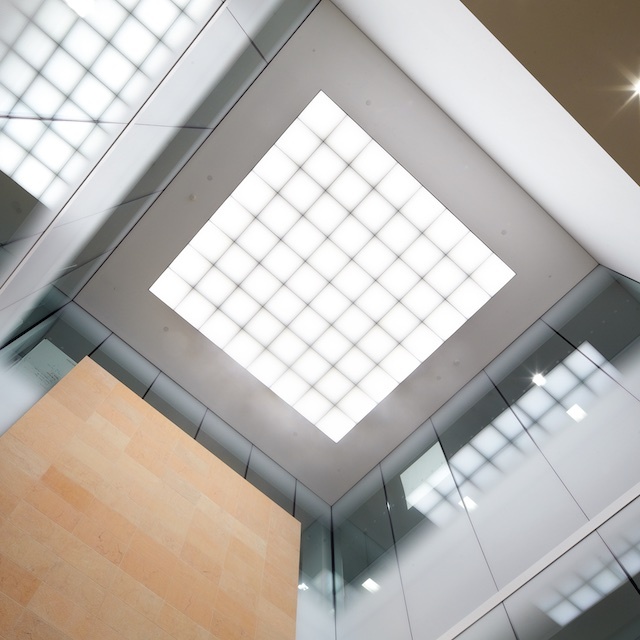 Cálem was founded in 1859 by António Alves Cálem, who took good advantage of the liberal trade regime in the Douro region. 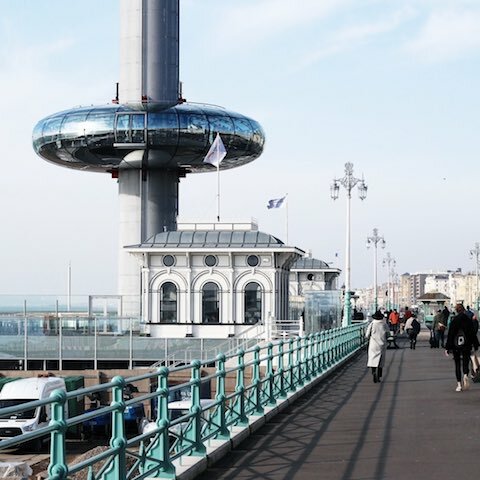 Still family owned, it has become a well known visitor attraction for the city. 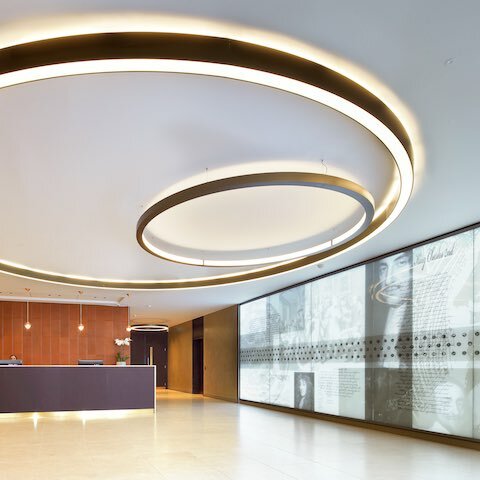 The Eurotheum is a 31-storey, 110 m (360 ft) skyscraper in the city center of Frankfurt, Germany. 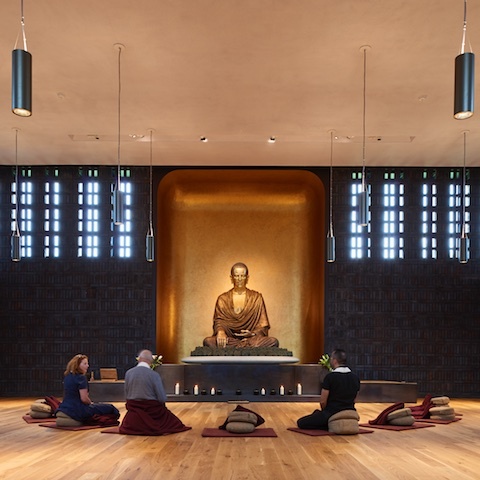 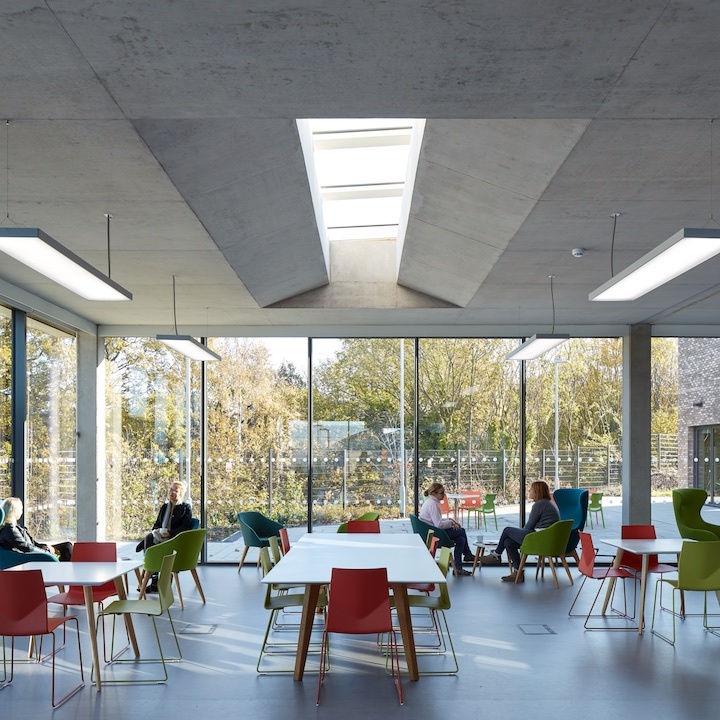 Sense, a national charity that supports deafblind people or those who have sensory impairments, appointed renowned architects Glenn Howells to design a building that puts humans at the heart of the design. 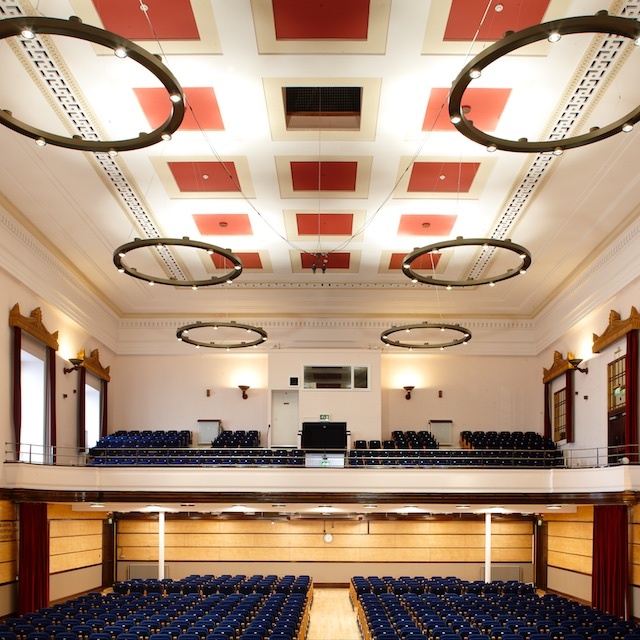 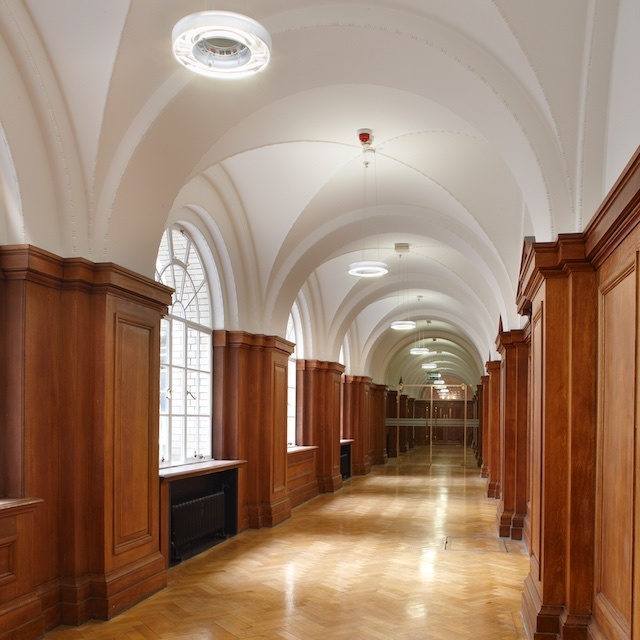 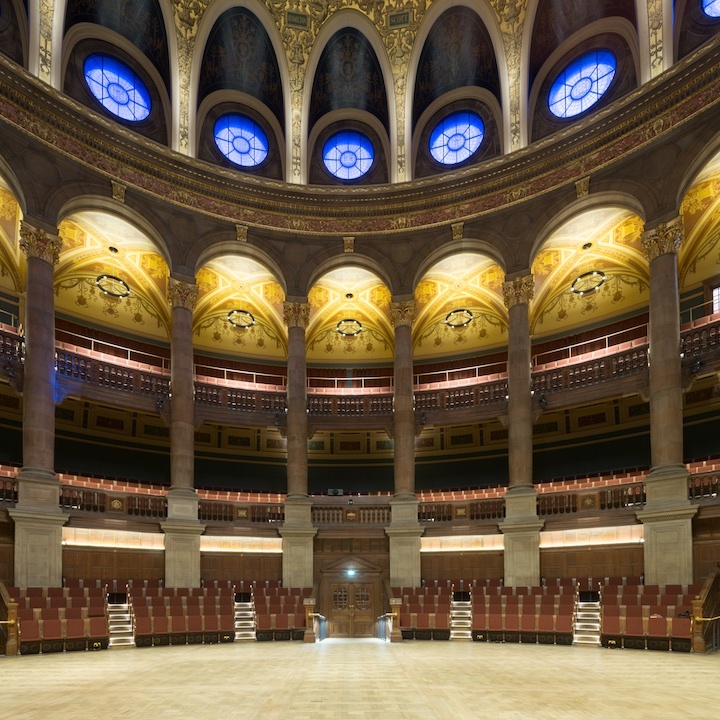 A comprehensive refurbishment to restore this historic landmark as a functional university building with the flexibility to meet modern needs. 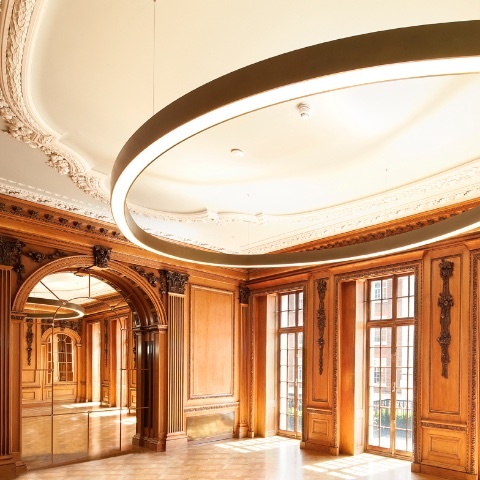 The redevelopment of Furness House, on Leadnhall Street, London. 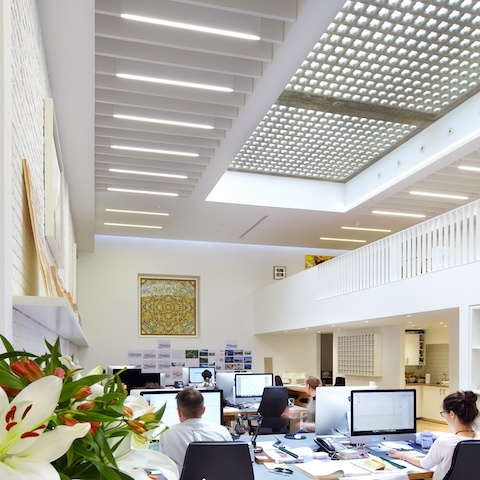 Rivington street studio are an award winning architectural practice who are at the forefront of new construction and sustainable technologies. 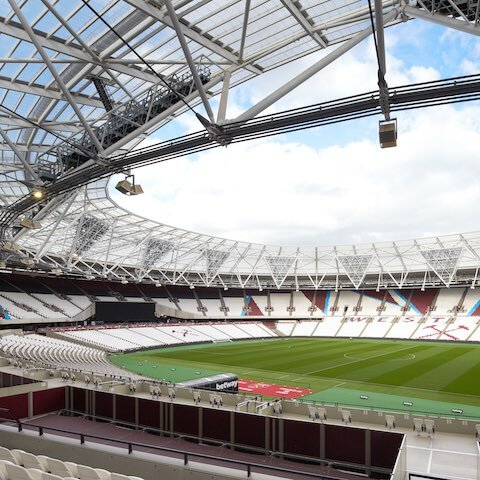 The lighting for the corporate entrance area for West Ham’s new London stadium provides stunning results using standard products. 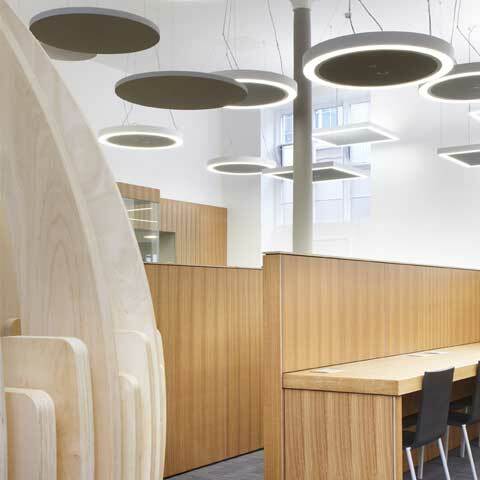 At the base of the tower is the Belle Vue restaurant and a Spectral custom pendant ring luminaire. 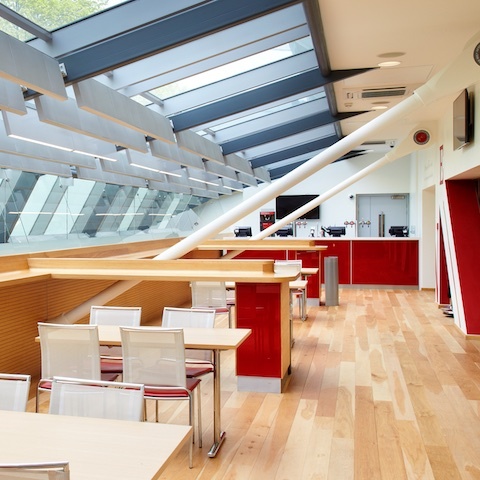 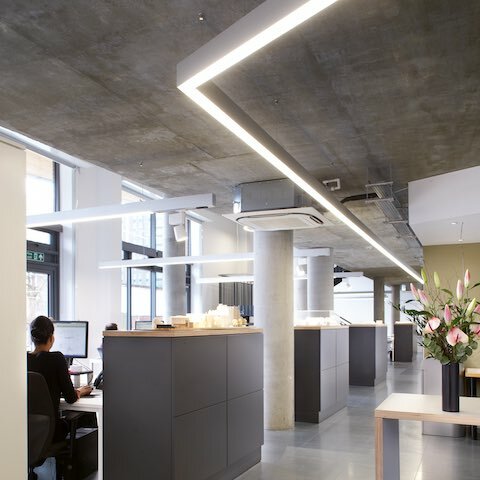 Spectral were specified to light the New Studio Refurbishment of London based architects MRJ RUNDELL & ASSOCIATES. 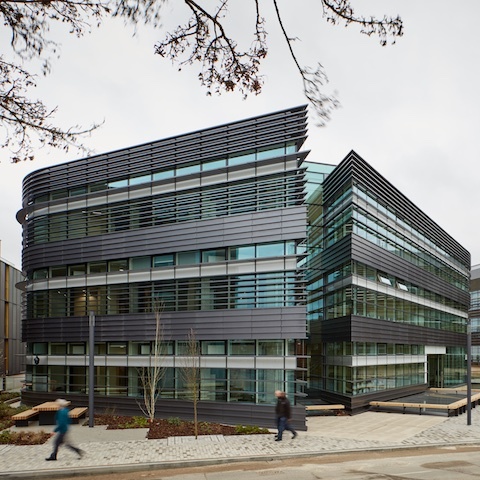 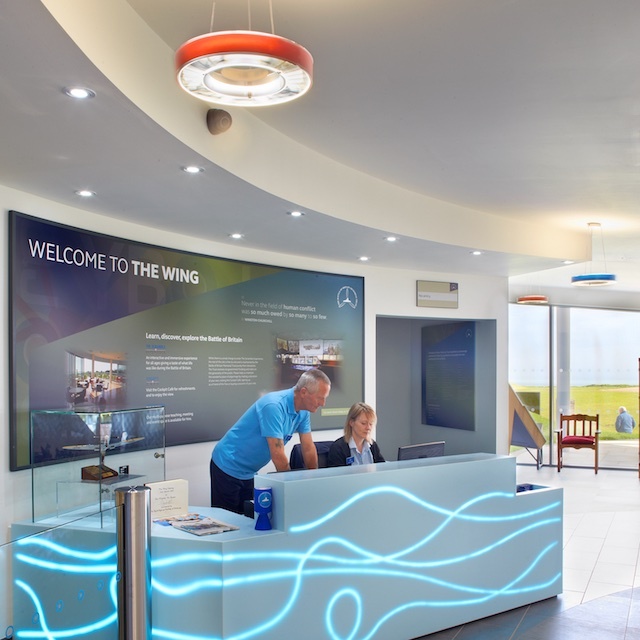 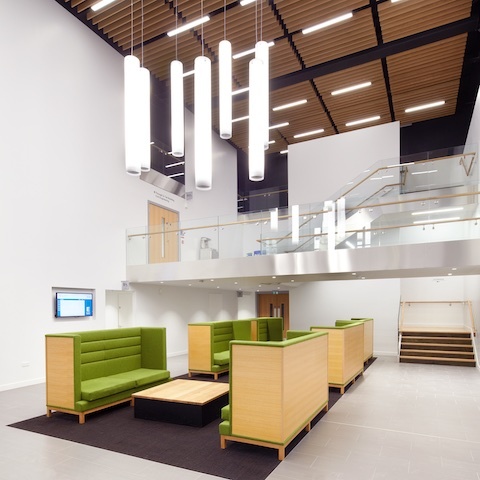 An outstanding working environment for students to take courses away from WBS’ Warwickshire campus. 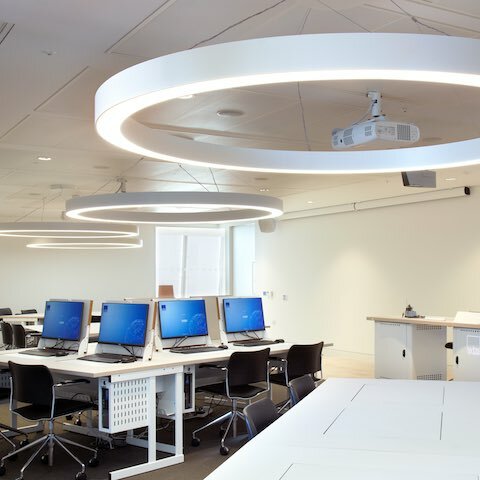 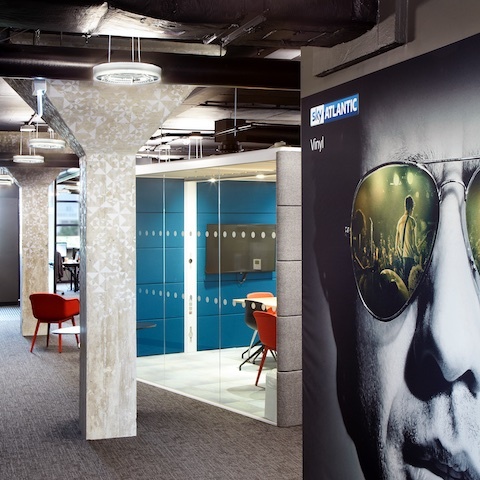 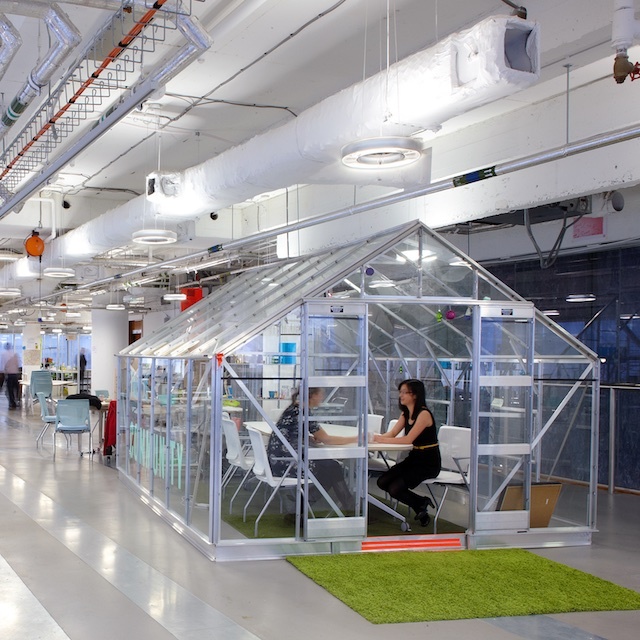 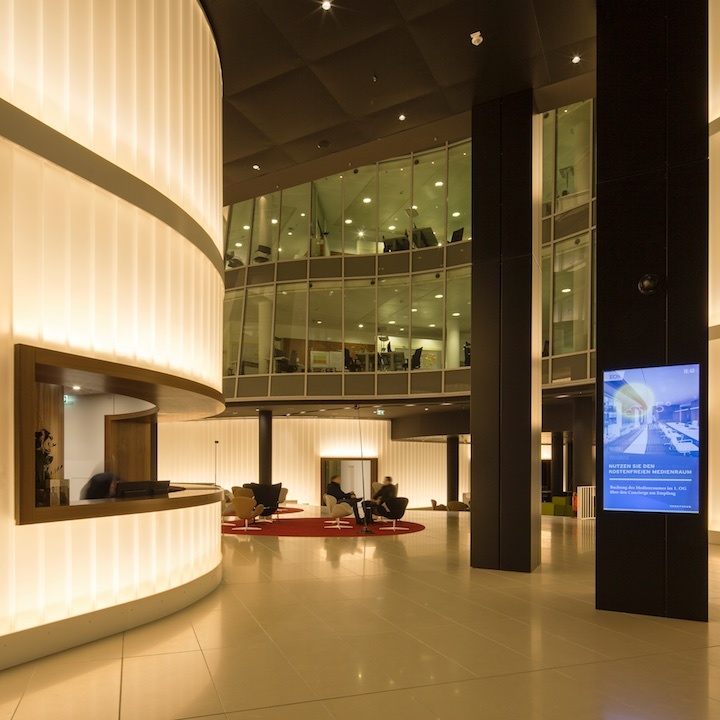 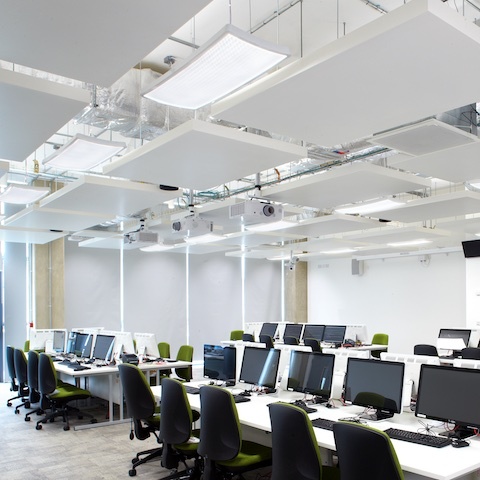 Spectral Lighting has provided an entire office fit-out using IRIS LED pendant luminaires to Sky UK. 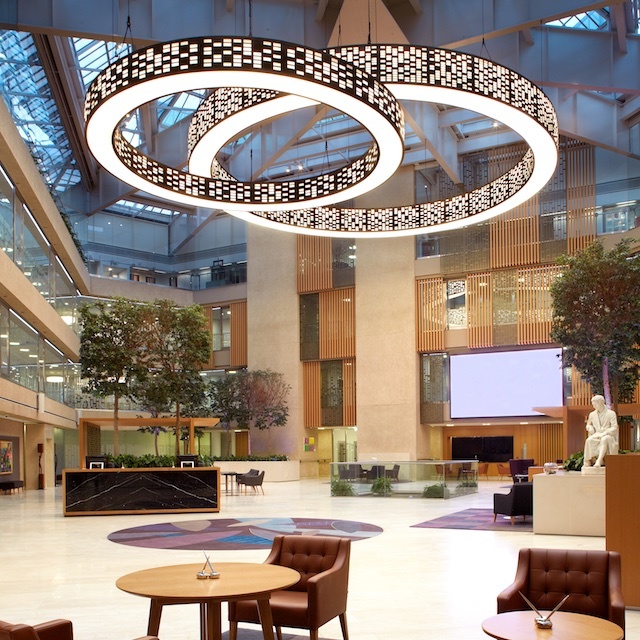 Chose Spectral IRIS to light their new offices on the fourteenth floor of the iconic Leadenhall building they designed. 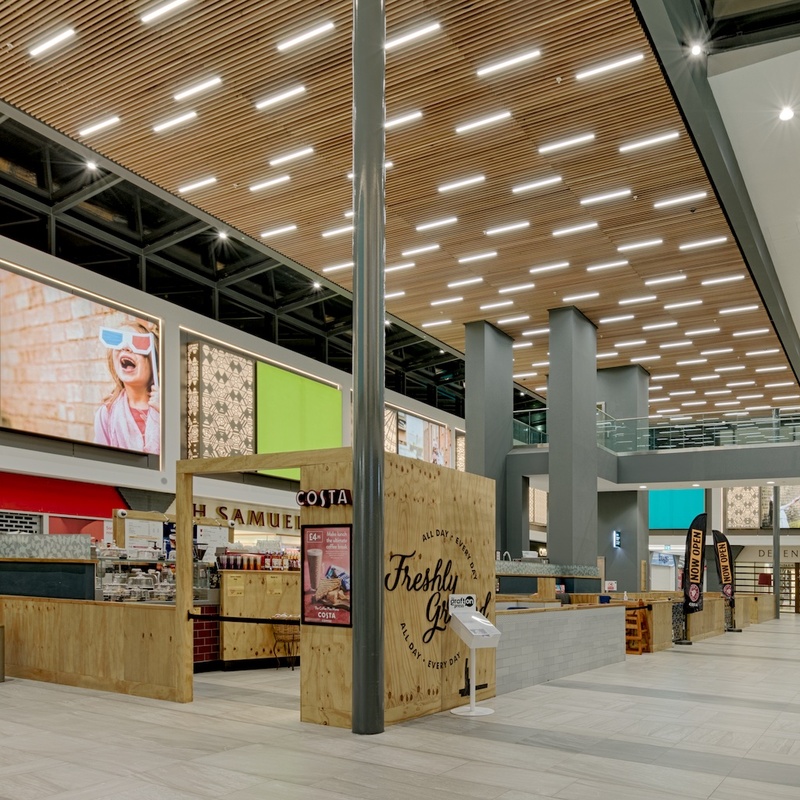 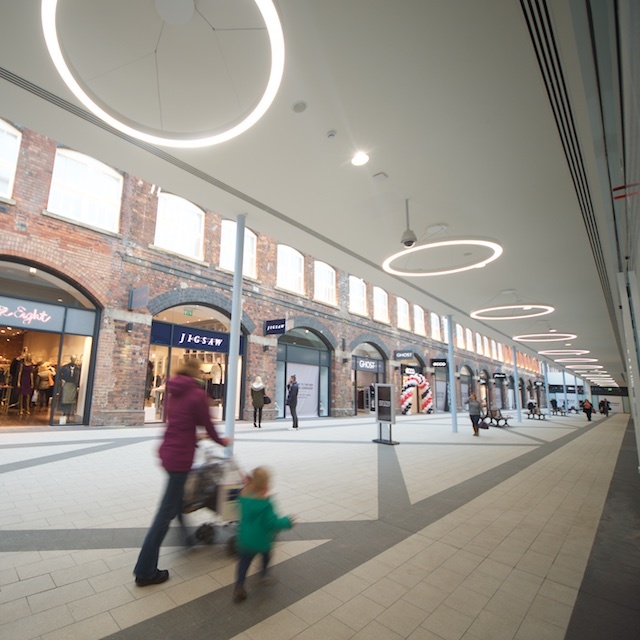 Spectral’s striking STORA LK luminaire has taken pride of place at the revamped Swindon Designer Outlet Centre. 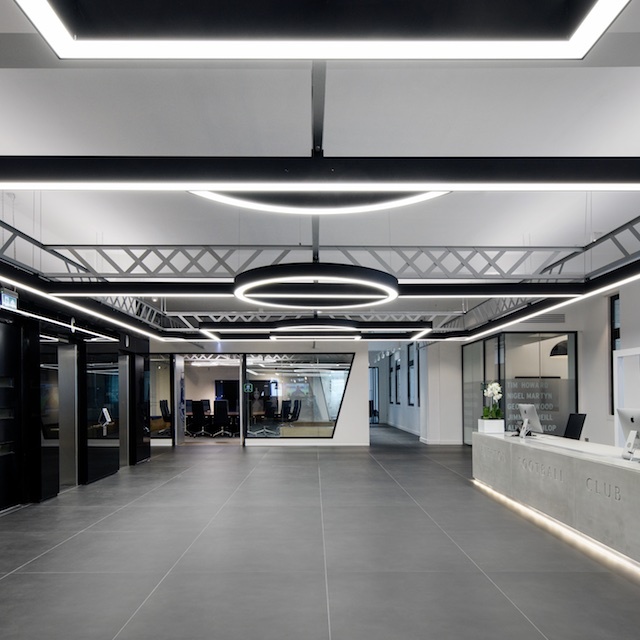 Puma HQ in London has the concept of ‘Light Speed’. 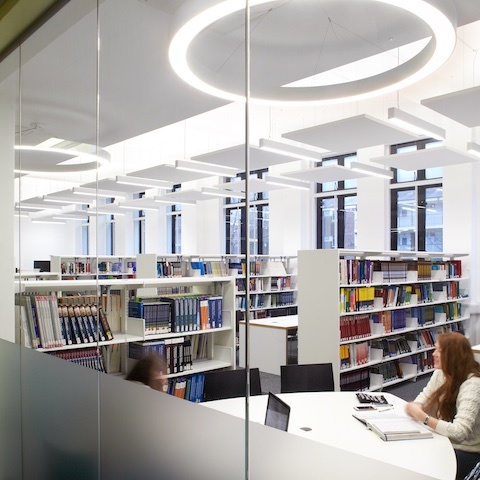 This concept is conveyed in by way of light streaks throughout its interior and graphic elements. 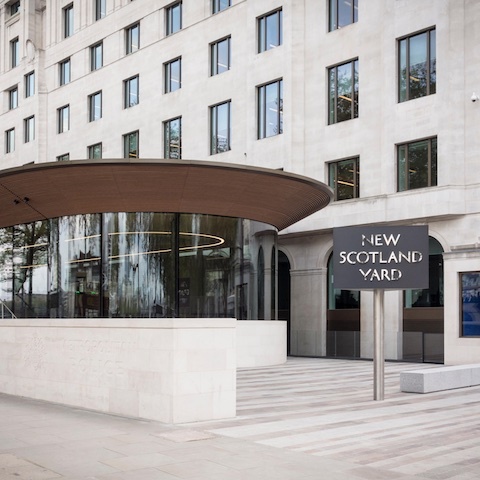 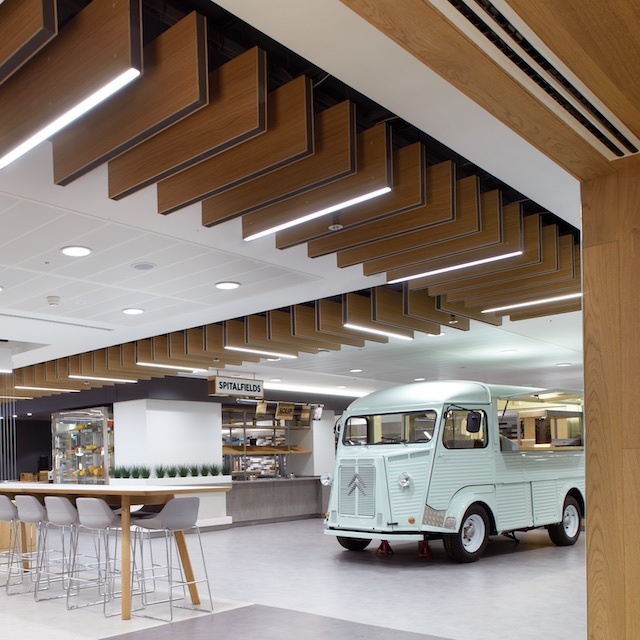 The 9m attrium at BNP Paribas' Marylybone HQ presented a challenge which was more than met by the norea ceiling system. 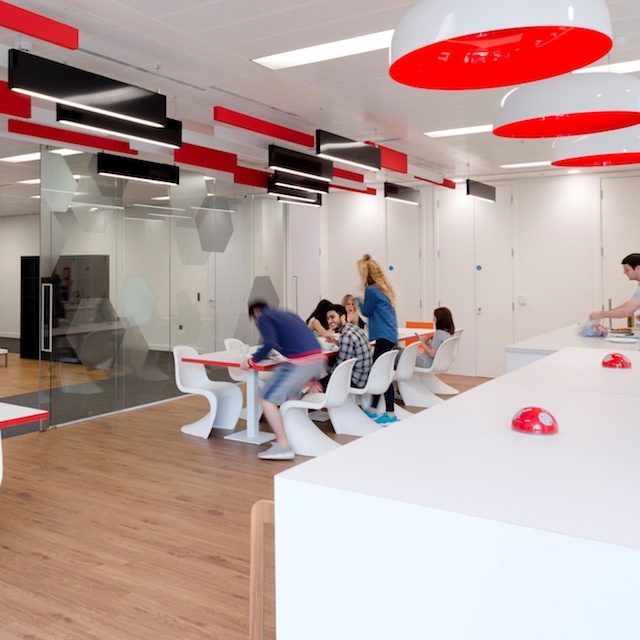 Designed by SpaceScape and Obi Interiors, The project is the new home of the expanding internet business, Appliances Online. 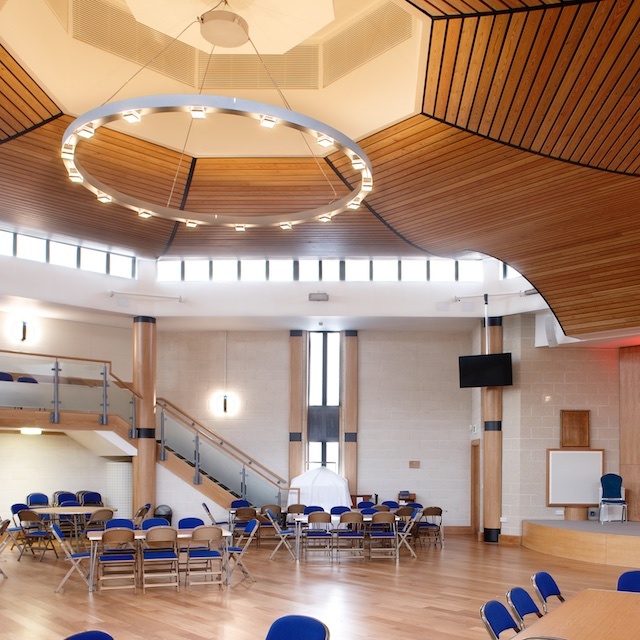 Spectral provides bespoke lamp of light to community Centre. 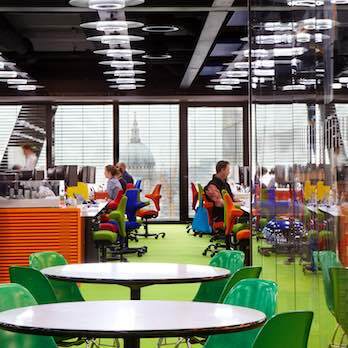 Iris from Spectral is the perfect complement to the stylish and quirky interior environment of The Hub in Westminster. 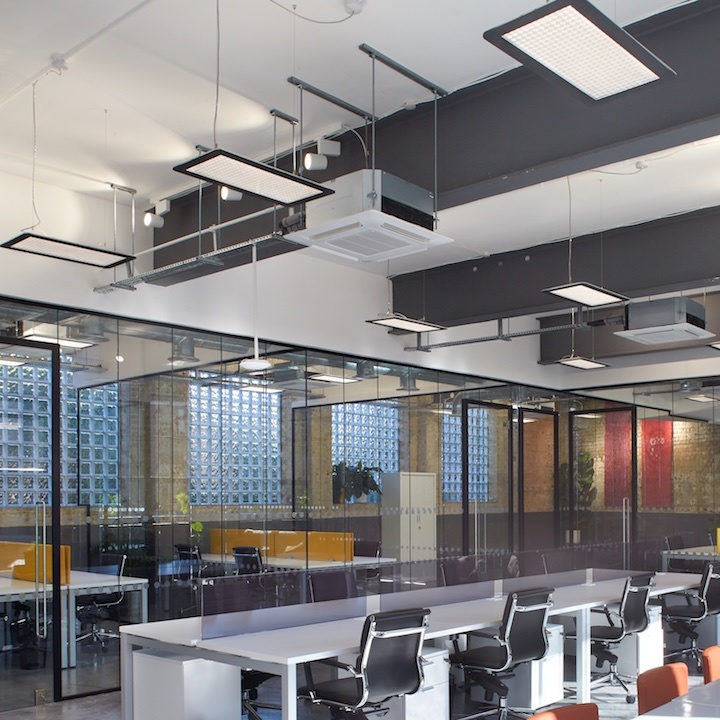 Building services are changing and the way they are managed continues to evolve, even when the physical structure does not. 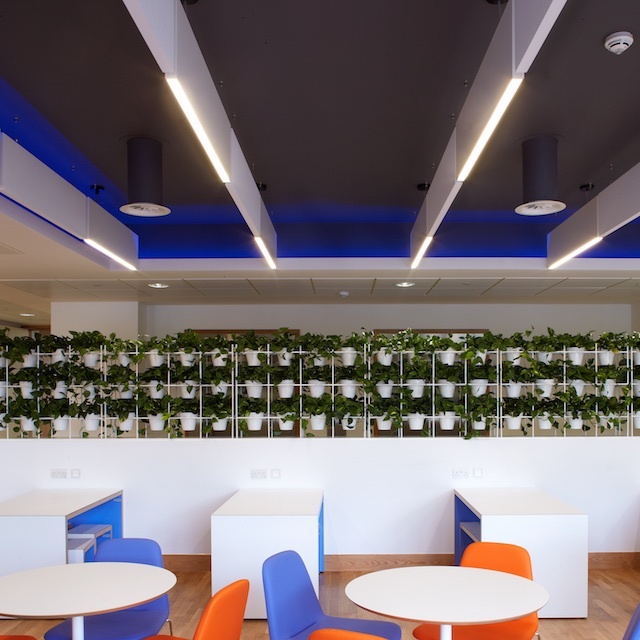 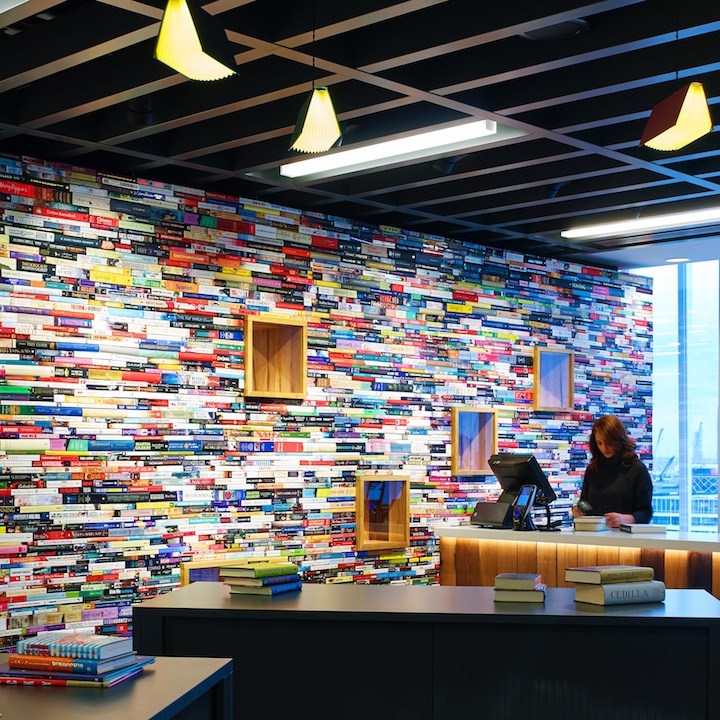 Peter Brett Associates (PBA), Reading headquarters have recently undergone an extensive refurbishment, featuring BLADE from Spectral Lighting.